We all know that once you own a Scottish Terrier, you are owned by a Scottish Terrier! Scottie Moms (and Dads!) have a habit of becoming breed fanatics and devote much of their time, energy and affection toward making their little one the happiest and healthiest he or she can be. 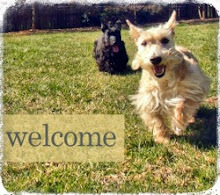 It is evidenced by this site and the group of loyal Scottie lovers that follow the Scottie Mom adventures that we are a passionate group when it comes to matters of the Scottish Terrier. Outside of this group, however, it appears our beloved breed isn't as popular as it was once was and falls behind quite a few others on American Kennel Club's breed rankings. In 2002, Scotties were ranked as the 43rd most popular breed (out of about 173). In 2015, they dropped to the 58th place. How can a breed so beloved by its owners be so far down the popularity totem pole? The answer is simple: Scottish Terriers aren't for everyone and popularity tests are overrated. It is a classic case of quality over quantity when it comes to those of us who love Scotties. We may be few and far between but our passion runs deep. And, in celebration of Scottie Love everywhere, the Scottie Mom Scotties put together a list of the top 10 reasons to love Scottish Terriers. We pay back...with interest! For every minute you dedicate to us, every ounce of affection devoted to us and every dollar spent on us, we give back 10 times your initial investment in reciprocated love, loyalty and laughs. Now, that's a smart investment! We keep you safe. By birthright, every Scottish Terrier is a member of Scottie Security. It's in our blood to patrol your land and look out for evil squirrels, cats or generally bad guys. We're always on alert and will let you know if something doesn't feel right. We provide entertainment. Keep a good squeaky toy or tennis ball around and you'll find out just how many laughs you can get out of just a few minutes of crazy Scottie play time. Research shows that laughter is really good for human health, by the way. We're adventurous. Life with a Scottish Terrier is never dull. In fact, we're really good at encouraging our humans to check out new things. What can we say? Our zest for life and curiosity for the unexplored is contagious! We're iconic. Have you seen all the merchandise out there with Scotties on it? We keep you healthy. Can anyone say walkies? Best way ever to stay fit. We're fashionable...for any season. Scotties never go out of style. Just ask Radley. We're both man's and woman's best friend. We're cool with the guys while still being pretty darn good with the ladies as well. Oh, and whoever said diamonds were a girl's best friend obviously never had a Scottish Terrier in their life. We know what you're going through. And we have our way of empathizing with you and being there for support. Then, when you least expect it, we'll try every trick in the book to get you smiling again because where there's a happy human, there's an even happier Scottie. We're all the bundles of joy you'll ever need. 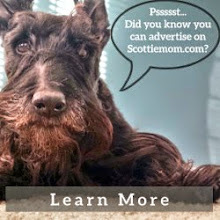 Ask any Scottie Mom and they'll tell you: we're just as pawesome as a human child, just without the mess of diapers! Let a Scottie into your heart and you'll know no stronger love in your lifetime. Scot's honor! The real reason is that the average intelligence of a hooman is decreasing and the average for a Scottish Terrier is increasing leading to a widening IQ gap. Agree 100%!! I just bought some Scottie socks today! I can't tell you how many laughs and just smiles in general my two have given me. No matter how tough my day, I cannot stay mad or stressed when those two jump on my with their tails wagging! My beloved Scottie, Brindle - who I miss every day - alerted my former rommmate and me to a really bad guy climbing through our apt window in the middle of the night. I truly believe she saved our lives. My personal favorite Scottie behavior is what I like to call the "nose bump". Their cute way of reminding you to pay attention! I can't have another dog right now, but when I'm able I'll be rescuing a precious Scottie, to be sure! Ah yes, the nose bump! It only took my now 7 month old puppy, Gracie Lou, 1 month from rescue to suddenly develop this skill. It's bred deep into their brain. I love seeing her Scottie Skills grow! She's hilarious! All very, very true! Great start to a PR Campaign! Scotties are #1!!! Please advise those of lesser intelligence=those unfortunate enough not to be owned by a Scotty, of course- that we do not shed as much as the average pooch...and I personally also take credit for the lack of squirrels and deer near our home-my security alert bark is flawless! And what happens? A bear happens. A great huge bear, quite as big as a mountain, rumbled out of the bushes and up to Little Miss in her basket and went "Snnnnniiiiiiiiffffffffffffff! SSSSSSnnnnnnnniiiiiiiffffffffffff!! Sssnnnnnuuuuufffff!" Of all the benighted impertinence!!!!! I was having none of that! All the humans came back, running hard and shouting and throwing stones. They thought they drove away the bear. I did not correct them. That bear, he was Departing in Haste MUCH before they came. My boy Brodie saved me and my neighbors by alerting me to a fire at our neighborhood pool 2 houses down, in the middle of the night. He barked and barked until I got up to see what the fuss was and then called the fire department. The shrubs around half of the pool were in flames and spreading fast. I guess he heard whoever was out there making mischief. All of the above are true and I love my fur kid with all my heart and I know he loves me too. He makes me laugh on a daily basis! Like all you other Scottie Moms, my house is filled with Scottie trinkets, and I too own several pair of Scottie socks! I'd rather the Scottie stay in the middle of the pack and not rise to fame where they become over bred. I agree with Michele - very special people for very special dogs. Scottie are the best--and if there aren't as many people who own them now--that's their loss not ours. My Mac Boy is my 4th--wouldn't want ANY other breed. If I can't have a Scottie, I won't have a dog!! Agree with your list. Yep I am all those things and more. you are so right. Scotties don't even rate on a popular dog list here. We're rare and expensive and get loads of attention when we're out and about. Heather and Mr. K, you are SO RIGHT! 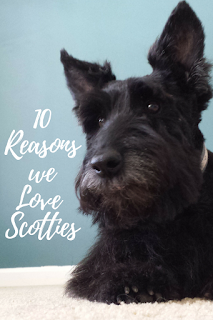 Those Top 10 Reasons for Loving A Scottie are right on!!!!! To KNOW a Scottie is to LOVE a Scottie! They are so Special. Those who don't know them are sure missing out!! That is why Scottie owners are so passionate! Thank you for making a list, and may we add that Scotties are just so darn Gorgeous and downright Cute AND Adorable....oh yes, and Precious, don't forget PRECIOUS....we could just go on and ON!